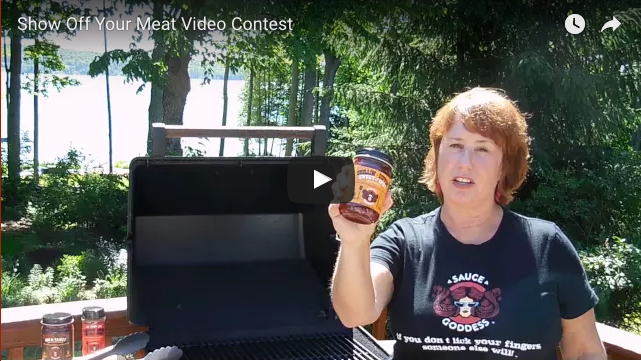 One of our long-time customers, Jennifer Reynolds, “The Sauce Goddess,” is holding a video contest based around the concept of “Show Off Your Meat.” She writes, “We can think of a bunch of different ways to show off our meat during summertime grilling season and know you can too! Capture an idea of what showing off your meat means to you in a short video (no longer than 2 minutes) that includes Sauce Goddess product(s) or logo. We put together special Show Off Your Meat video kits to get you set-up or get creative on your own.” First prize is a Disc-It outdoor cooker that’s manufactured right here in Albuquerque. For detailed information, including rules and awards, just visit her page here.